It’s time for our monthly installment of Perfect Pairings (see June’s post here) – this time I decided to focus on brights. What better time than summer to get decked out in bold cheery hues? 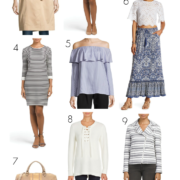 Whether you gravitate towards a timeless silhouette or crave more tailored pieces, these options are all affordably priced (everything under $60) & spot-on for the season. Be sure to scroll through the styles below for even more brights on a budget! I love both! I have to say the heels on the modern look and the necklace on the classic look are my faves. the yellow dress is so cute! Bright pieces are my favorite! I love the 2nd outfit! Big fan of brights! I'm totally in love with the orange look, the whole idea is perfection, wondering if I have similar items to recreate it. Both looks are so cute..really love those orange shorts! That yellow shift is perfection! You could wear that year round!! I would definitely rock the classic look, that yellow dress is so cute!! I'm kind of crazy about the idea of an orange blazer with orange printed shorts! 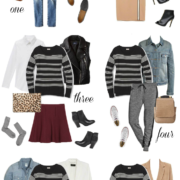 Ahhhh, both of these looks are right up my alley!!! But, the modern look is screaming to get into my closet! I love these looks!! They are so perfect for summer nights and right up my alley!! I'm in love!! now I wanna go to Target for that dress! I love the clutches in both sets. Would definitely wear both looks! Great pieces! Love the orate shorts! Love both these pairings – especially the bold blazer! I really love the look on the left! Perfect for summer! 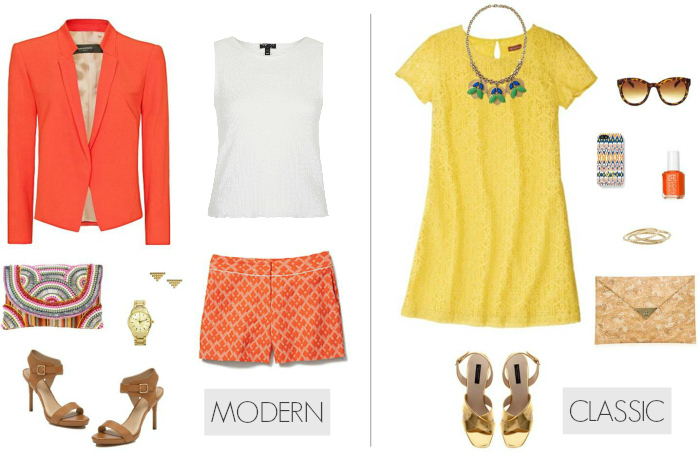 These are such great ensembles for brights. Both are so classic, yet still feminine and flirty. Love them both a lot! I am all for that modern look! Love! Love the left! A month ago I would have said the right…funny how style changes! Sweetness with a bit of edge is my fave kinda look! LOVE those shoes!